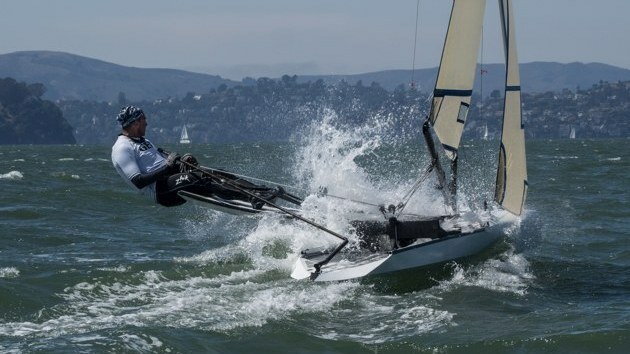 One of the odder factors that has influenced the administration of the racing of sailing canoes internationally is the situation where they come under the aegis of canoe governing bodies rather than sailing (or yachting) governing bodies. As we have seen this was inevitable historically, since the sailing canoes developed with the paddling canoes, and dual purpose boats were common in the early days. Canoeing national bodies, those of the UK and USA especially, were at least as much founded by the sailors as the paddlers: often the same people. And then small boat racing was never a focus of the early yachting authorities: that came later. For example the International Yacht Racing Union only became the International Sailing Federation in 1996. 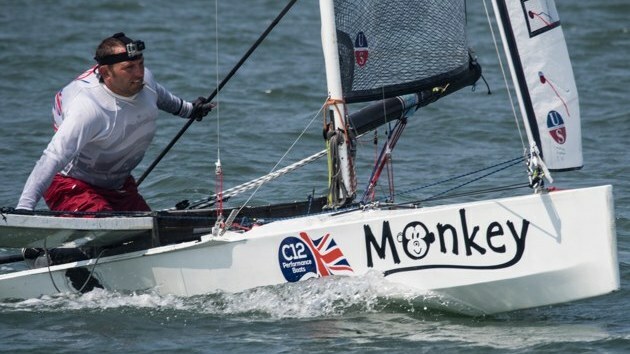 One consequence of this was that different national authorities had differing attitudes to International competition in sailing canoes, and it was only after much political wrangling the International Canoe Federation approved a true World Championships. The first event was held at Hayling Island in 1961. There were entries from Germany, Great Britain, Sweden and the USA. World championships are normally held every three years. During the 1960s hull design tended towards narrower ended hulls, notably in a design by Peter Nethercott. At the time it was considered desirable to move to a one design hull shape, apparently with much impetus from the Swedish sailors, and the Nethercott design was selected for this and adopted in 1971. 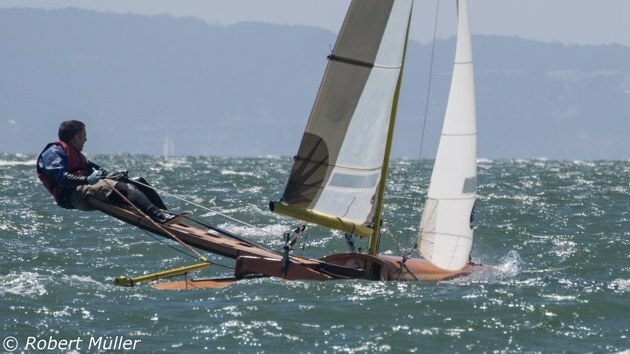 This seemed to be the right move for the times, and by the 1980s the IC was being sailed in at least ten countries in three continents, with World Championships attracting around 60 competitors. Nethercott Design IC. This is AUS 9 Superstition, strip plank built in Cedar (quite unusual). 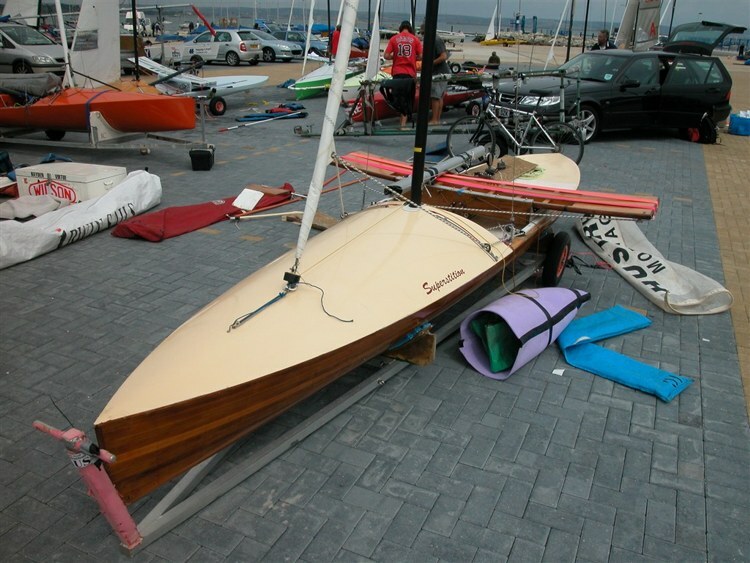 This is the dinghy park at the 2005 worlds. A European Championship started to be held from the 1960s, but it seems that it became necessary to stop calling the event by that name. The event, now called the Europa Cup, acquired that name and its trophy in 1986. The events is still a european championship, and it is held in the years between World championships. I'm finding it difficult to gather much information from European sources, but the number of developments seen on UK boats which are credited to Swedish influence suggests that the Swedish must have been making some key innovations at this time. Both the use of centre mainsheets and fore and aft moving seat carriages are credited to Sweden. Sweden won the NYCC trophy in 1974, and in 1981 took four of the first 5 places at the World Championships. The US took the first three places at the 1984 Worlds. Australia had had a native two handed sliding seat Canoe racing class, the Payne-Mortlock Canoe, since the 1940s. However the International Canoe didn't reach Australia until the early 1960s. 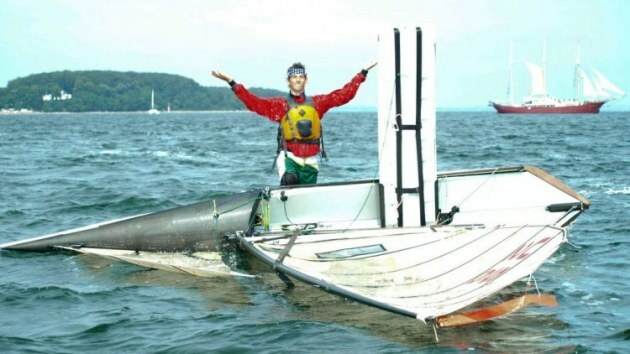 Rob McConchic of McRae Yacht Club in Victoria, after extensive tank testing of current canoe bull design, built four canoes to the Nethercott design, which were raced for some years at McRae. The class was revived in 1985 when Tim Wilson, who had owned one of the McRae IC's in the '70's, and Eric Dunbar with his son Seth, built three canoes. The class has grown from then with the fleet active in several states. Tony Marston was one of the major influences in the fleet in the 1970s, taking an interest in the production of a glass-fibre Canoe along with Peter Wells and others. Much effort was spent on attempting to introduce glass fibre canoes in the one design era. Because of the success of mass production frp dinghies in the mass market this was widely seen as the way to go to increase popularity: not only in the Canoes, but also in other performance classes. The problem with this is that the old polyester/chopped strand mat construction was and is highly unsatisfactory for lightweight boat building. It just doesn't have the same stiffness to weight ratio. Really successful plastic boats would not arrive until foam sandwich technology became widely available. Marston can take credit for introducing the centre mainsheet to the Canoe in Britain, following trends which were taking place in Sweden, to reduce the tendency to capsize when the mainsheet was released. 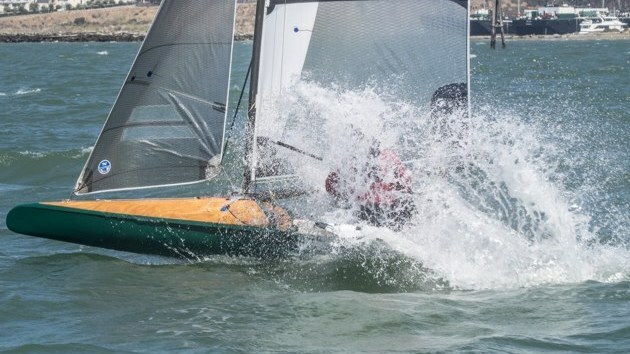 The early 1980s saw significant improvements in the boat and rig tune of the top British ICs, as well as better techniques in boat handling, particularly to windward. This was brought about by the British being outclassed by the Swedes and Americans at the 1981 World Championships and by the Americans in 1984. Led by Colin Brown and Chris Eyre in particular, there was a completely redesign of the British boats and sails to match and then improve on the Swedish and American Canoes. Brown successfully reintroduced the daggerboard which reduced drag and the amount of water carried in the slot. Rig control was also improving with stiffer masts and bending controlled by a strut to allow pre-bend if required. This improved the sail setting and avoided the excessive twist which was characteristic of Canoes of earlier years. Twist could be induced if required, for example for heavy weather when the top of the main is overpowering the Canoe. For 1987 many canoes were fitted with seat carriages which moved fore and aft. 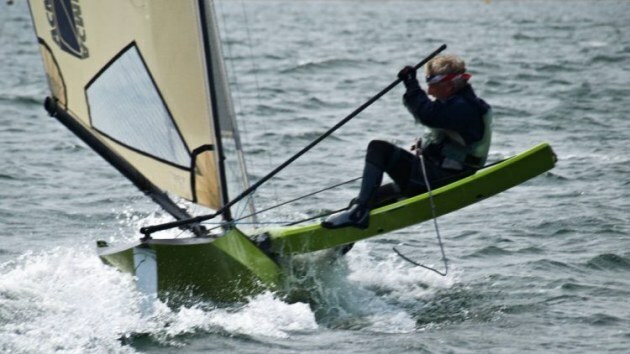 These had been seen being used with great effect on the Swedish boats at the first Europa Cup at Rock the year before, where they had proved to be far superior in heavy winds. 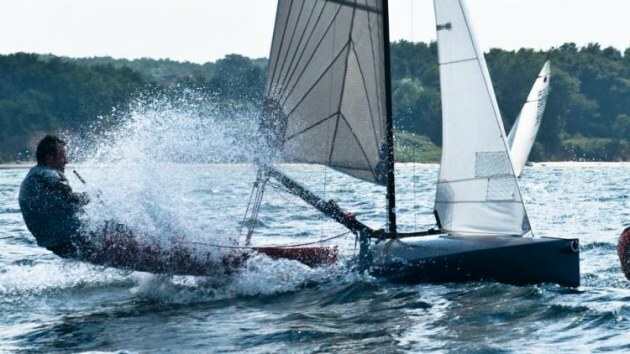 The 1990s saw a significant rise in the numbers of ICs being built and raced in the UK, the majority having carbon-fibre hulls built by Rob Michael (Razorback Boats) and increasingly using carbon-fibre masts. What was happening in Sweden and Finland beyond the fragments above? What was happening in Germany? What was happening in the US? ISAF Short History: ISAF web site.